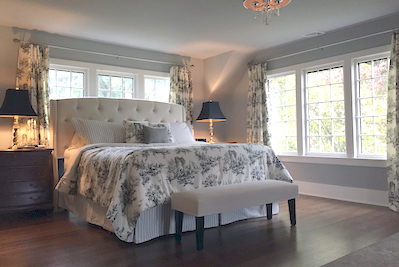 Create the bedroom of your dreams using our custom bedding! Comforters, duvet covers, bedskirts, shams, coverlets... every item we make is available in every fabric. And there are coordinating curtains and valances to complete the look.